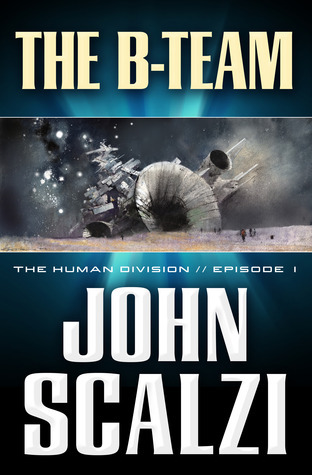 The B-Team is the first episode in John Scalzi’s serialized novel, The Human Division. Set within his multiple award winning Old Man’s War universe, The Human Division returns readers to the high-stakes space opera of the Colonial Union. And for this reader, the reunion could not have come soon enough. 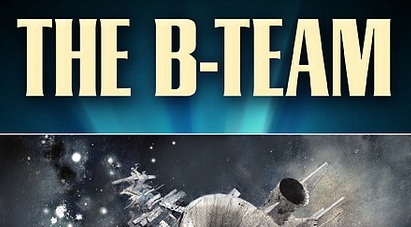 In an attempt to maintain some level of critical objectivity, rather than collapsing outright into a squee-ing mess of Scalzi fanboyism, I approached The B-Team with one question at the forefront of my thoughts: does somebody need to read John Perry’s story, the eponymous Old Man, to appreciate this particular novel? While The Human Division is set after the events of the third/fourth book in the OMW timeline, it’s safe to say that foreknowledge of this world is not required. Be warned, however, The B-Team will yeild some rather large spoilers for the previous books. For newcomers, Scalzi manages to accomplish in three chapters of The B-Team what he spread out over three OMW books. A scant twenty pages frame the essential science behind the Colonial Union, humanity’s near future-ish space empire, as well as the socio-political monstrosity that is the CU’s governance. Oh, and Scalzi also (re)introduces the green skinned, genetically engineered, cybernetically augmented, consciousness transferred soldiers of the Colonial Defence Force. Yet for all this introduction material, the story does not suffer. The first chapter ends with a space battle. The second is brimming with the sort of humour that has come to embody much of Scalzi’s writing. And in the third chapter The Human Division channels Radiohead in establishing an overall conflict best embodied by the song “You Do It To Yourself”. For all the aliens, starships, and super soldiers, the crux of this series is rooted in human failings. Similarly, readers who have been waiting for this story since the end of The Last Colony/Zoe’s Tale will find a few things have changed since their last trip into Colonial space. Where readers grew into their previous understanding of the CU as John Perry rose through the ranks of the CDF, The B-Team is a little more up front. The story shifts its perspective between a team of diplomats on a peace mission and a pair of Colonels at the forefront of Colonial policy. This results in an outright revelation detailing the ways in which the CU has bungled things for Humanity in the wake of Roanoke colony. Yet for all this grand political context, the story of the B-Team is focused and character driven. In earnest, Ambassador Abumwe, a taciturn junior diplomat, and Lt. Wilson, a CDF researcher on loan to the diplomatic corps, are just cogs in a much bigger narrative. Also, Abumwe, Wilson, and crew are about as far as one can get from James T. Kirk and any of his associated archetypes. Their story is one of people who work for a living, moving from one backwater assignment to the next, hoping to make a name for themselves in the process. This creates an instant rapport between reader and characters, which is no small accomplishment considering that Scalzi has written a truly unlikable person in Ambassador Abumwe. There is also something to be said in the decision to release this book as a serialized novel. It’s an obvious throw-back to the days of pulp space operas, but the story itself is anything but flaky or ephemeral. Priced at 99 cents an issue, The Human Division boats a particularly good risk-reward ratio. In terms of time and money invested, there’s not a lot of loss if The B-Team doesn’t resonate with a potential reader. Meanwhile the rest of us get to endure the giddy thrill of waiting in anticipation for the following week’s installment. As an unrepentant fan of John Scalzi’s work (seriously, I made a total dork of myself the first time I met the guy) I know I’m not exactly inclined to find fault in his writing. Yet even at my curmudgeonly best, I don’t think I could cite many flaws in The B-Team. Scalzi continues to demonstrate how military sci-fi need not be a fussy and inaccessible niche within a niche, suitable only to the prodigiously detail oriented and/or war-game aficionados. The B-Team is whip smart, funny, and strikes the perfect balance between efficiency and elegance in its prose.